Clarkson University senior standout forward Loren Gabel already knows what it’s like to be among the top three finalists for the prestigious Patty Kazmaier Award, presented annually to the top women’s college hockey player in the nation. Gabel is once again among the top scorers in the nation, putting her once more in the conversation for the Patty Kazmaier Award. Gabel enjoyed a record-setting year as a junior. She tied for second in the nation in scoring and third in goals, setting a new single-season record with 36 goals and 75 points. Gabel, who led the country with a plus-58, was named ECAC Hockey Player of the Year. Clarkson coach Matt Desrosiers initially informed Gabel that she was among the top three finalists for last year's Patty Kazmaier Award. 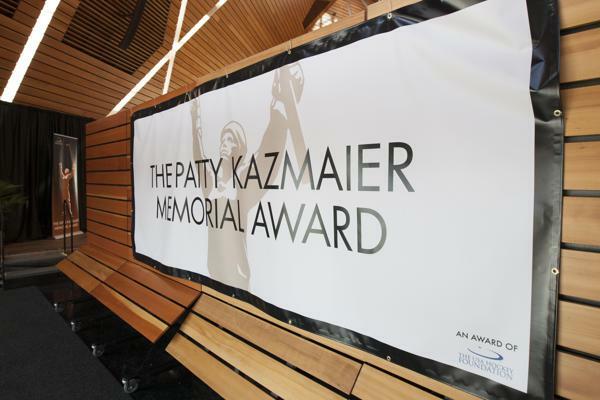 Gabel knew what the experience was like, following in the footsteps of former teammate Cayley Mercer, who was one of three finalists for the 2017 Patty Kazmaier Award. But it was different the following year, with herself as one of the finalists for the award, won by Daryl Watts of Boston College. Gabel felt like it was a carryover from the previous year when Mercer was named among the top three in the nation. Mercer currently competes in the Canadian Women’s Hockey League. Gabel said the two still catch up via text message. Gabel has Clarkson in the hunt for a third consecutive national championship. This month, Gabel, the all-time leading scorer in Clarkson history, recorded her 200th career point. She also surpassed the 100-goal mark last month. Gabel is a former HCA National Player of the Month, a two-time ECAC Player of the Month, and three-time Player of the Week. Gabel is currently battling with one of her linemates, Elizabeth Giguere, for the nation’s scoring lead. Gabel leads the nation with 33 goals through 30 games, and both have 59 points. Gabel also has a NCAA best nine game-winning goals this season. The dynamic top line of Gabel, Giguere and Michala Pejzlova has combined for more than 70 goals and 160 points. Gabel and Giguere are tied for the top spot in the country, while Pejzlova is fourth. The biggest focus is another national championship. Gabel said the two championships already won by Clarkson in 2017 and ’18 were two of the best days of her life. As a freshman, Gabel was Clarkson’s Rookie of the Year, as her team defeated Quinnipiac to advance to the Frozen Four before falling to Boston College in the national semifinals. The following year, Gabel, as a sophomore, helped guide Clarkson to its second national championship in school history. As a junior, Gabel scored the lone goal in Clarkson’s win against Ohio State in the Frozen Four semifinals, setting up back-to-back championships with a win against Colgate.